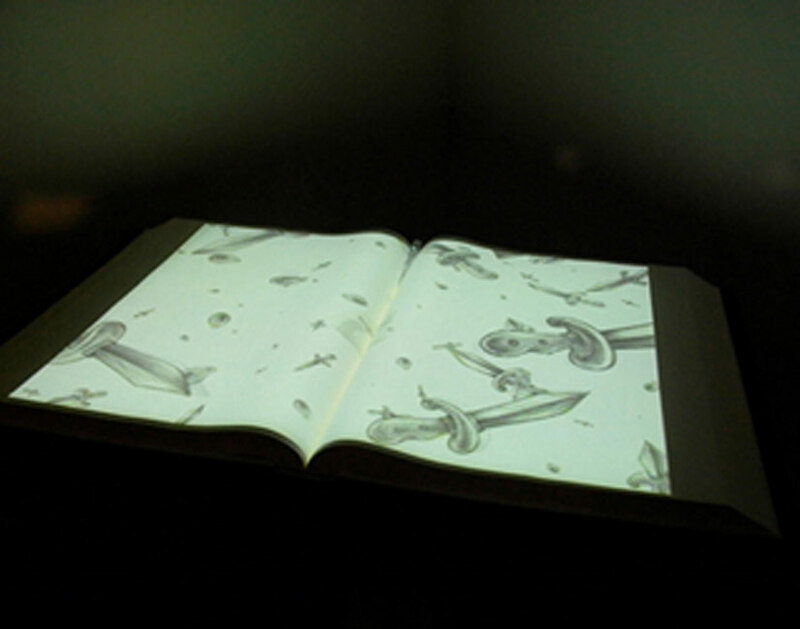 installation view "The planet is covered by silvery sleep"
Open Book series　"Safe, when it's open. Flooded, when it's closed." 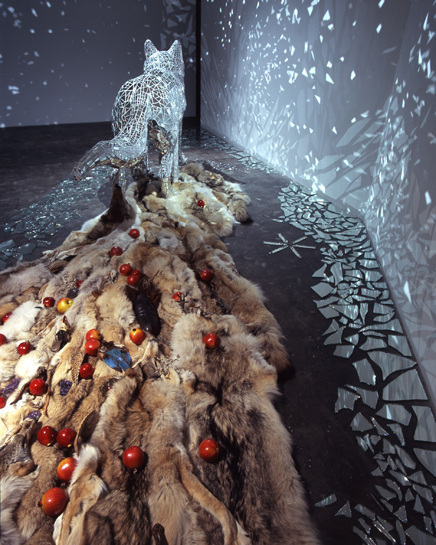 For the past one year, Konoike has been attracting our attention by producing a series of huge paintings, animation, sculpture and installation, and by curating an unique exhibition “A lunch”. 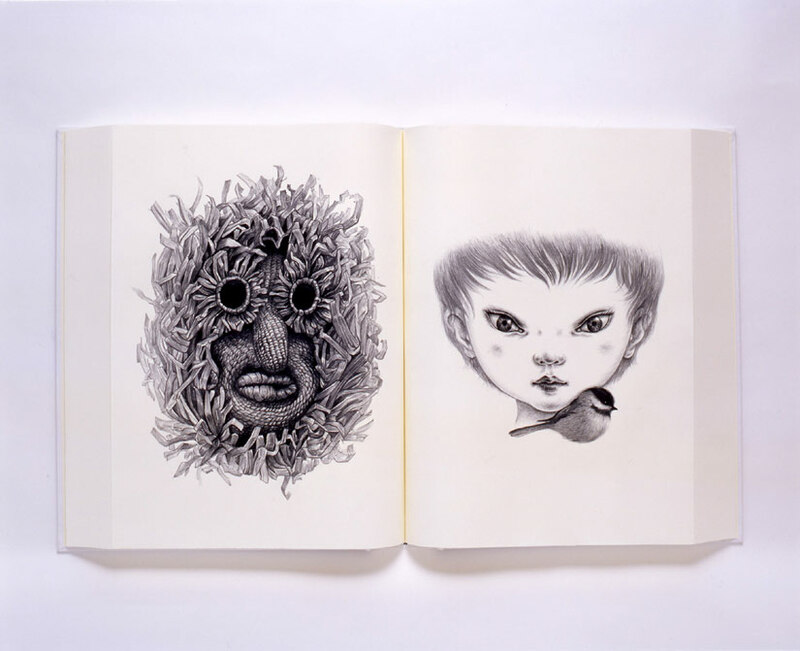 Rich in expression, she plays with various mediums as if these are toys, and creates art works that are beyond audiences’ imagination, expectation and even conventional mode. 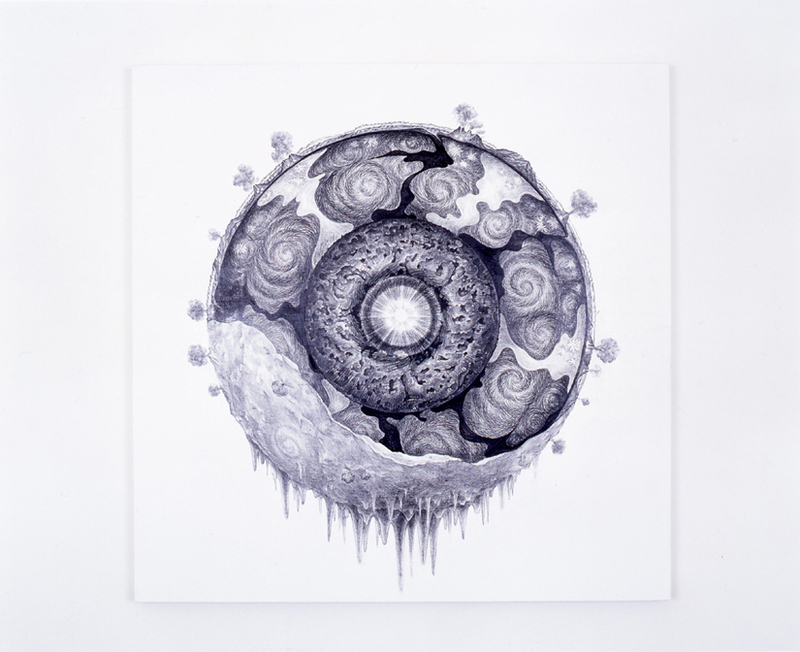 The main piece of the show is a sectional drawing of the planet earth, and it can be described as an accumulation of her interests, thought structure, whereabouts of images and tools and techniques she possesses. Thanks to “the bond of gravity”, she has a strong affinity for the blue planet and she finds a root of the new piece deep inside the earth. 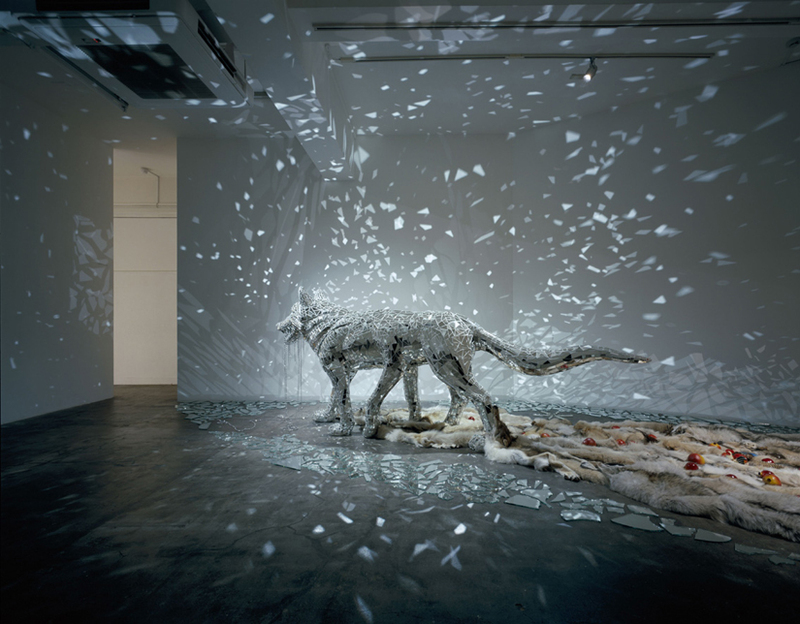 Also, a congenetic sculpture of 3 meters mirrored wolf, which was shown at her solo exhibition at Ohara Museum of Art in this spring, is concurrently exhibited. Even with the latest excavation technology, we can reach no deeper than 12 km of the earth, and its inside still remains a realm of mystery. Her unique trail to such an unexploited area is one of the highlights of the show. She produces another new piece “Snow ball earth”, in which the earth’s surface is frozen to terminate all living matter including. It can be a counterattack launched by the earth itself against aggressive human being. By doing it, Konoike attempt to drag our attention to the mineral energy burning quietly deep inside of the earth. She suggests that, in the complete silence, we can now listen to the voice of nature comes from the deep down in the bowls of the earth.